ATTIC — The Wedding Co. Custom engagement rings, unique wedding bands, and everyday New Classics. ATTIC was something we dreamed up many, many years ago when we were in goldsmithing school together. We both worked separately in the fine jewellery industry for a few years after graduating, but kept on talking about starting something together. We felt that there was an opportunity for a simple, refined gold jewellery line, pieces that would be enjoyed for generations. In 2015, we took the leap and have been guided by that initial vision ever since. We may be biased, but we really do love the exchanging of rings part of weddings best. Helping couples find, or create the symbols that will carry them through their marriages is so amazing. UNION is ATTIC’s collection of refined and unexpected wedding and engagement rings. Most of our engagement rings are set with one of a kind natural diamonds and sapphires, and each style can be customized with other unique gemstones. In addition to the collections, ATTIC offers private custom design services at our Toronto studio. Clients find the custom design process relaxed and enjoyable. Working directly with the designer of your ring is a unique experience for most people - it’s a lot of fun to watch a piece of jewellery transform from an idea into gold and gemstones. 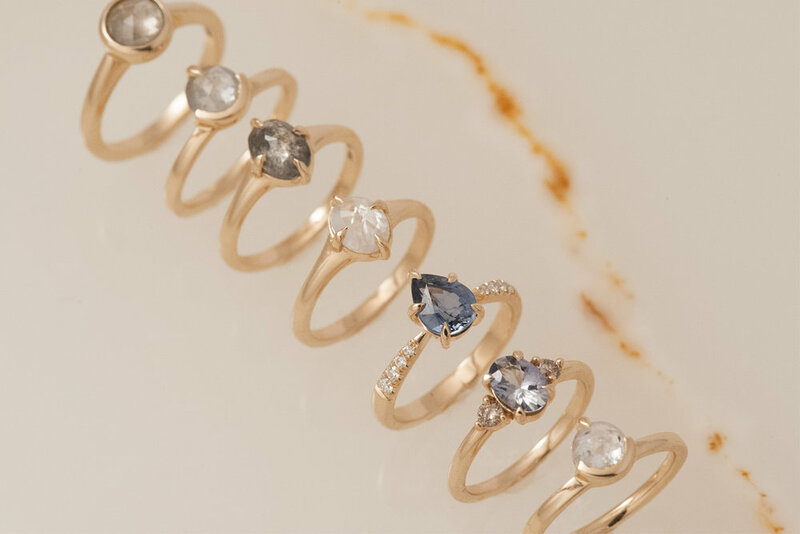 ATTIC will be launching new UNION rings at the 2019 Wedding Co. Show. Find out more about ATTIC on their website.